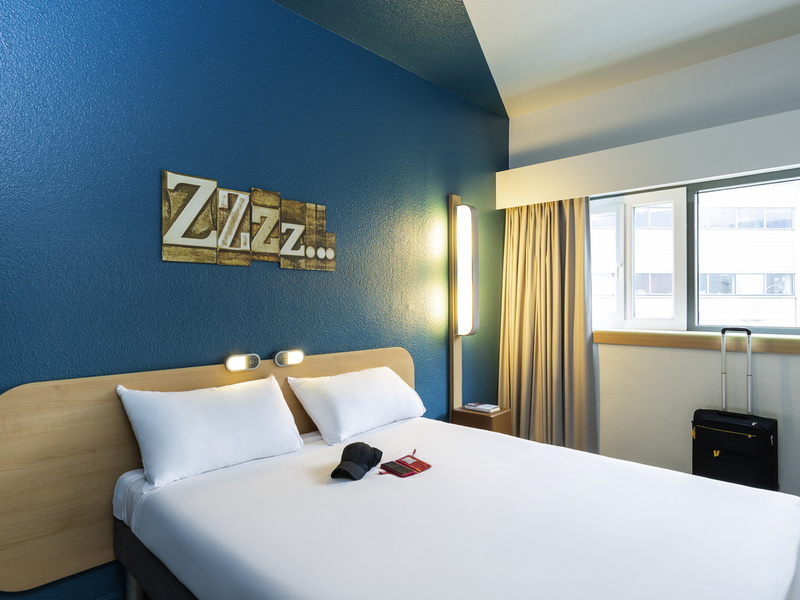 The ibis budget hotel team is looking forward to welcoming you in its new, warm and stylish decor, and is on hand to help with anything that you may need to ensure you have an enjoyable stay! The more the merrier, see you very soon! The ibis budget Paris Porte de Pantin hotel is close to Hoche metro station and RER E providing quick access to the heart of Paris. Less than 10 minutes from Parc de la Villette, the Cité des Sciences and the Zénith concert hall. From the hotel, it is eas y to get to the Villepinte Exhibition Center and Stade de France. The rooms can accommodate up to 4 people and include free WIFI. The hotel reception is open round-the-clock and private parking is available.